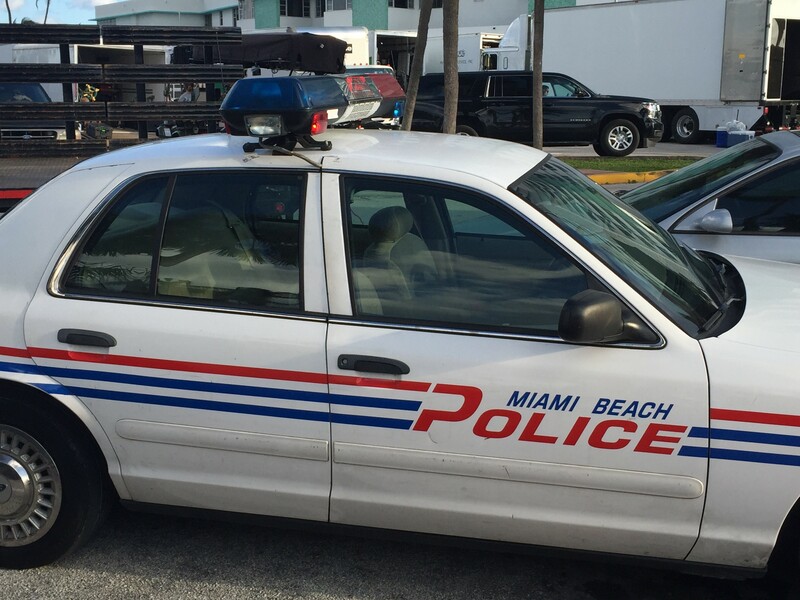 For a few days this week, it was 1997 again in Miami Beach as film crews returned to wrap up filming of “The Assassination of Gianni Versace: American Crime story”. The 10-episode series focuses on the murder of Gianni Versace at his Ocean Drive mansion, the subsequent police investigation, and manhunt. After filming on Ocean Drive and Ocean Terrace this spring, production moved to Los Angeles due to the loss of State incentives for the film industry. Crews returned this week to film the conclusion in which serial killer Andrew Cunanan shot himself on a houseboat in the 5200 block of Collins Avenue. Cunanan’s houseboat was recreated on Indian Creek and 1997 era police cars and news vans were also brought in. The series is based on the book Vulgar Favors by Vanity Fair correspondent Maureen Orth. It features Edgar Ramirez as Versace; Ricky Martin as Versace’s partner, Antonio D’Amico; Penelope Cruz as Versace’s sister, Donatella; and Darren Criss as Cunanan. It will debut January 17th.